A twig snapped. 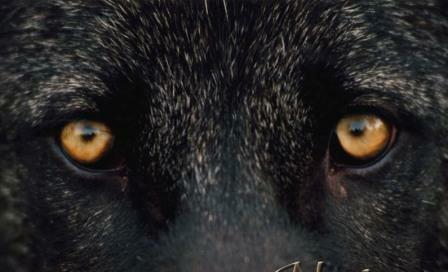 Brayleigh turned to see a pair of yellow eyes staring at her. A wolf! At first, she was rooted to her spot staring at the powerful black furry creature. Fear brought sweat to her brow and her heart beat against her ribs. A slow step back. Another. The ground beneath her foot slid. Swoosh! Gravity pulled her through the hole. Thud. She landed in the dark earth. Terror gripped her before the pain in her arm. She landed with her arm twisted under her. From her shoulder to her fingers pain seared. She used her other arm to raise herself off the injured one. It must be broken. Fingers refused to move. Sure enough—a bone was almost sticking through the skin. She passed out. A while later, she came to and realization of her predicament assailed her. She needed help! First, she needed to immobilize her arm. She slowly pulled her belt off, refastened the buckle, and slid it over her head. With gentle movements, she placed her injured arm on the belt and her hand between the buttons of her shirt, to rest on her stomach. She peered around her. The space was a small room. There didn’t appear to be any other way out—but up. Sunlight barely penetrated. Shaking, she rose and leaned against the wall of her cave. Her head swam and her breath was ragged. A yell would not be heard from any human. She was all alone. It was up to her and she needed to climb out. Try as she might, she was not able get a good toe hold. A few rocks littered the ground. Brayleigh drug them over to make stepping stones. She tentatively climbed. The climb was slow—she only had use of one hand. Any jolt of the injured one brought extreme pain. She lifted her leg. Snap! She spun to the noise. “What was that?” Brayleigh didn’t see anything. Dead silence met her. Her foot came down on the first rock. As she climbed, she kept her eyes peeled to where the sound came from. A scraping came from the dark crevice. She was not alone! A nose poked out followed by dark eyes. She didn’t wait to find out what it was. Fear made her scramble up the rocks. From the top rock, she leapt to the ledge, pulling herself up. She lie panting on the flat surface. “Amazing! I made it! Thank you Lord!” she paused and frowned, “Did you just give me a miracle?” She poked her face over the edge. “Wow. What a long way down. I wouldn’t normally be able to make the jump. I guess the Lord sent that, whatever it is, to frighten me into a mighty leap.” A smile grew at the realization. Her legs were weak but held her up. Brayleigh stretched and reached. “I can’t reach the top!” She sat. Knees up and head resting on them, she prayed. “Lord, I need another miracle. I’m too short to reach out of this hole. My arm is throbbing. I keep getting dizzy. I’m frightened, tired, and thirsty. No one knows where I am and I don’t want to cry.” A sob erupted. She swallowed another. Brayleigh got to her feet. Automatically, she reached up and her foot found a hold. The rock took her weight. Her other foot found a thick protruding root. There she was—suspended on the side of the wall, with loose dirt sliding down all around her. She hugged and pressed as she searched for another foot hold. That’s when she almost screamed! Those yellow eyes pierced hers. The wolf! Wings beat the air around her. A huge black bird grabbed the other side of her shirt. Together they pulled her up and over the side. The bird swooped away to the nearest tree to survey her. The wolf trotted a bit away, sat and glowered at her. A tremble went through her. She slowly sat up—careful of her injury. All through her prayer to the Lord, her eyes had never left the wolf. “Thank you wolf for saving my life.” She relaxed. Her gaze went to the bird she believed to be a hawk. “Thank you for helping the wolf save my life.” The hawk dipped his head, flapped his mighty wings, and soared into the cloudless blue sky. Boys and girls, the Lord does do things we cannot understand. Anything He does is a miracle because He is the only one who does miracles. His miracles may be large ones like what happened to Brayleigh or small ones we don’t see or recognize. He protects us and gives us things we need all the time. All we need to do is have faith in Him. Trust Him to get us through. He doesn’t say He will take away our trials but that He will get us through them. We just need to have faith. Brayleigh is a fictional character from my imagination but I know people who have experience great miracles like she did, myself included. The thing I want you to take away from this story is faith and a relationship with the Lord. If you have trusted the Lord as Savior, you have a loving heavenly Father who wants what is best for you. He loves for you to talk to him about anything. You develop the kind of relationship Brayleigh exampled by talking to him and listening to His voice and reading His words in the Bible. The verse Brayleigh quoted is Isaiah: 55:8 “For my thought are not your thoughts, nor are your way my ways.” says the Lord. It would be a great idea if you memorized that verse.